My appreciation and heart-felt thanks goes to Professor Dr. J. R. Hakemulder, Ph.D, International President Intercultural Open University and Dr. Mrs. Fay Hakemulder, M.Ed., Ph.D. Anthr., Vice Chancellor of the Intercultural Open University in the Netherlands. Through their warm and enthusiastic support I was able to do this study even though it was difficult to bring Vajrayogini to a level that almost everyone can understand. Professor Hakemulder’s great emphathy and skills as an educator and guide made the whole process fluent and transparent. His enthusiasm for the subject made the study easy and blissful, therefore a great word of thanks. A very special word of thank goes to Mr. Rudi Jansma, Ph.D candidate from The Hague, the Netherlands and Miss Jennifer Tjitske Horn, Ba. History, from Canada, they took up the painstaking task to read the whole dissertation in concept while in the meantime correcting the language. They brought up many questions for reconsideration in the text. Thanks to Mr. Jansma and Miss Horn the dissertation became readable and clearer for a wider public. In India, monks of the various monasteries have been so kind as to give their time and effort by telling me about their experiences. I also thank the Tibetan monks venerable Lobsang Dhonden from Ganden Monastery and venerable Jampa Gomlam from Kundeling Monastery who stayed with me through days of interviewing and translating my questions. I am grateful to the library of the Kundeling Monastery Mysore, India and the library of the Dharmakaya Klosterschule in Germany. These were the right places to study the necessary books and texts about the practice of Vajrayogini. I am also grateful to Dharmakaya Manastic College community, Schloss Sommerswalde, Germany, [present time named Tashi Choeling] for their warm support, advice and sharing of experiences in the practice of Vajrayogini. I thank my Indian friends in Mysore who showed interest in the progress of the dissertation and who also gave me the push in the beginning to continue. It is important to thank all the people and not to forget any one who helped me in one way or the other. My sons and their family [even though they didn’t show particular interest in the subject]; gave me financial and technical support. They provided me with shelter, food, and entertainment. Thanks to my eldest brother Jan Toren, his son-in-law Douwe Dijkstra and my nephew Willem Toren who worked on the technological procedure. Thanks to my friend Tiny Jilderda, who helped me a lot by listening and giving feed back. Thank you so much. Thank to all the people who showed interest in the subject thereby creating the conditions that the dissertation could come out. I pray that the merit collected by studying and writing this work may go to them. May they experience bliss and emptiness in all their daily activities and be blessed by Vajrayogini and Heruka for now and forever. 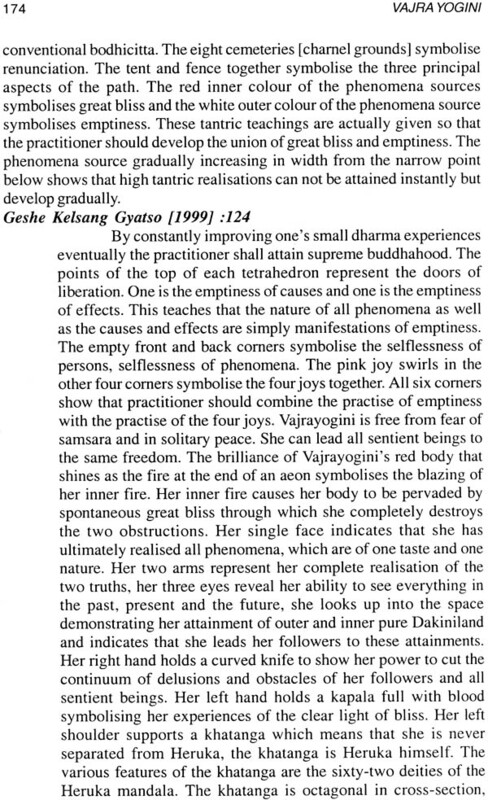 The subject of this dissertation is the Buddhist Vajrayana Tantra practice of the eleven yogas of the outer, inner and secret body mandalas of the Venerable Vajrayogini, a realisation method [sadhana] called Quick Path to Great Bliss. It is based on a text of the Mahasiddha Je Pabonka Rimpoche*[AD 1878-1941] who was an emanation of Heruka,* and who composed the sadhana* from the source of all Hidden Meanings [Tibetan: Be don kun sal]. This is a precious commentary on the practice of Heruka and Vajrayogini tantra. Through the kindness of my teachers, I had the opportunity to study and practise the instructions of Heruka and Vajrayogini. The most important part of the dissertation is the Vajrayogini sadhana, a realization method to the attainment of the state of great bliss [enlightenment} which is the ultimate goal of every self-realization practice. To rely only on the sadhana and not explaining it [the eleven yogas of Vajrayogini) in an extensive commentary will make it very difficult for the reader and the practitioner to understand the profound meaning of the instruction of how to reach the state of Vajrayogini. To practice a sadhana as Vajrayogini or any other yoga tantric deity*one merely relies on words, these words are blessed. It has been practiced for more than a thousand years and transmitted by great masters in the Buddhist vajrayana tradition that developed in Tibet. As it is explained by tantric masters, the one who translates the text from the original Tibetan language into another language must be well versed in both languages so that the blessings of the words will be transmitted. There are long, middle and short Vajrayogini realization methods. It depends on one’s motivation and available time which sadhana one will adhere to. But definitely the practice of the long sadhana explained in the dissertation produces the best opportunities for gaining swift progress. The time for practising the sadhana is in the evening because that is the time that the dakinis*, which are playing a special and important role in this tantra, are giving their blessings. First what one should do when the practice is new, is to read the whole manual. Then one should study all eleven yogas so that one knows the sequence. After becoming acquainted with it one will feel that the mind becomes more stabilised, more peaceful and happier, as this is one of the effects. The meditation of the Vajrayogini practice is not only done by sitting on one’s meditation cushion. Instead it is the continuous awareness of visualising oneself as Vajrayogini. One maintains “divine pride” and “clear appearance,” holding this awareness day and night. This mindfulness can be stimulated in two ways: through analytical and through placement meditation. The visualisation of oneself as Vajrayogini should be deepened [through awareness) by analytical meditation about the nature/essence of Vajrayogini. This implies, for example, what are her implements, her make up etc. Holding this firmly is done by placement meditation. Both ways are applicable. A Buddhist meditation is focussed on removing ignorance from the mind stream, by removing ignorance one’s wisdom increases. The Vajrayogini practice is specifically for realising the state of great bliss that is beyond mental comprehension and cannot be contained in words, thoughts or other expression. In the tantras it is called the nature o.f bliss and emptiness and, even though it is hidden in the beginning of the practice, it gradually becomes a reality for the practitioner. This is the result of the meditation [visualization] of Vajrayogini’s mandala specifically when one meditates [visualizes] of her body mandala. The Buddhist tantric method of the eleven yogas of Vajrayogini is [probably) practised by at least ten thousand people all over the world. For most of these practitioners it is their main practice, their tutulart deity practice. It is said by tantric masters that this practice is very suitable for our degenerated age full of desirous attachments to thoughts about material, emotional and mental objects. Vajrayogini practice will help those who wish to transform their desire and attachments in daily life into the path of realizing one’s true nature, For them it is a very powerful aid to become a fully realized being. Trying to realize the illusory body, one receives a powerful solution to the attachmentldesire, ignorance and hatred which, in Buddhist terms, are known as the three poisons which bring never ending misery for oneself and for the world. This particular tantric method was passed down through the centuries as an authentic unbroken lineage from realized masters and mahasiddhas up to the Ganden Secret Ear Whisper Lineage of Je Tsong Khapa* 1357- 14191, founder of the Tibetan Buddhist Gelugpa school, who kept this as his personal secret practise. Through his outstanding knowledge and wisdom, he composed a series of profound commentaries. It was first in India and later only in Tibet where the taritrayana or diamond vehicle, a part of the mahayana tradition, was traditionally practised and preserved. In other countries such as Sri Lanka, Myanmar and Thailand the hinayana. * or lesser vehicle, is preserved. In China, Vietnam, Russia, Mongolia, Singapore, Taiwan, Japan, Korea, Bhutan, Malaysia, Indonesia, Kampuchea mahayana prevails. In present India, due to the influx of Tibetan refugees who brought the mahayana and the vajrayana back, one finds all three vehicles. Nowadays all Buddhist vehicles [hinayana, mahayana,vajrayana] in all their facets are found in Europe and the Americas. Before explaining the eleven yogas, I will describe the preparatory subjects of the four classes of tantra and the preliminary practice concerning the seven topics as basic condition. 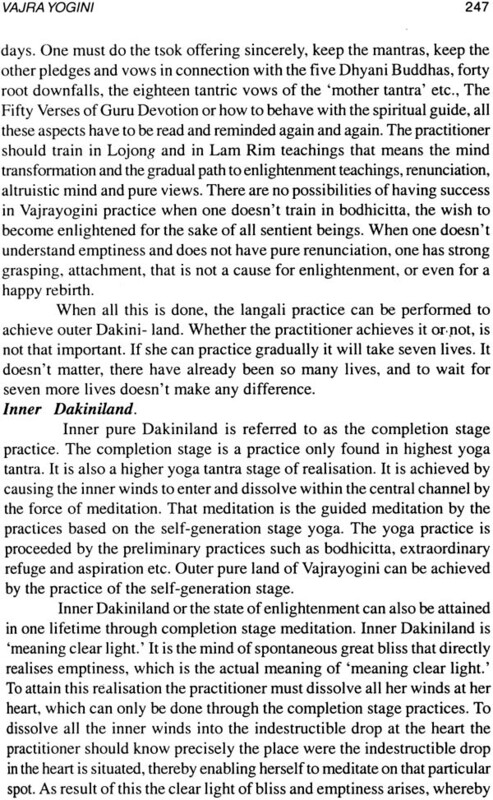 I will conclude with an addition to the eleven yogas with the subject how to attain outer, inner and secret Dakiniland. In the conclusion I will present the results of my study of the eleven yogas of Vajrayogini, this is a contribution towards the development of a Middle Way Science which supports the thesis of realising a state of spontaneously born exalted wisdom. I became a Buddhist vajrayana practitioner in 1985. 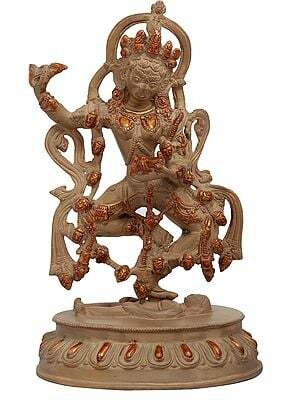 Specifically, it was the Vajrayogini practice which attracted me to the practice of the tantric path. In this year, I met a friend who introduced me to a Geshe*, a Buddhist mahayana-vajrayana practitioner, a Doctor in Buddhist philosophy. He guided me skilfully in my first steps on the path of self-realisation. He [was the one who said: “If you look for new ways in science, you come to my teachings, you can learn something.” This resulted in the present dissertation, with the motivation to benefit beings self-realisation, and is grounded in a philosophic paradigm of averting extremes. In Buddhist terms this is referred to as the interdependent origination of phenomena and beings. It is a philosophy which is the bases for a Middle Way Science. It took me seventeen years of study and service to spiritual masters and their community in the position of a nun. I received myriads of blessings in the form of ‘scoldings’ which have to be seen as wrathful mantras. 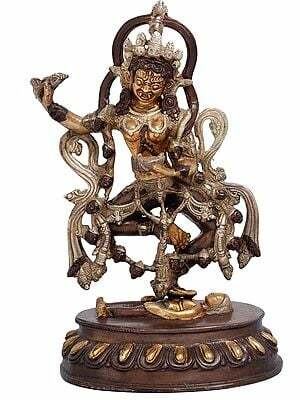 I also received empowerments in tantric deities, especially in the secret Vajrayogini practice. It is my teacher the Vajracharya H.H. the 13th Kundeling Tagtsa Jetung Thongshan Hothuktu, who agreed to the idea that I should write a dissertation on Vajrayogini [Tibetan: Neljorma] to reveal this ancient tantric practice to the field of science for the benefit of humanity. This inner development of the mind has always been known as a secrect practice but not mystical. Secret in the sense that the Indian mahasiddhas* passed it on to their students by oral transmission only. Therefore the tantra remained hidden for most people because their state of mind had not yet reached the right condition. It is a realisation method which many alchemists in the past and sincere scientists such as prof. Dr.C.G.Jung have looked for. 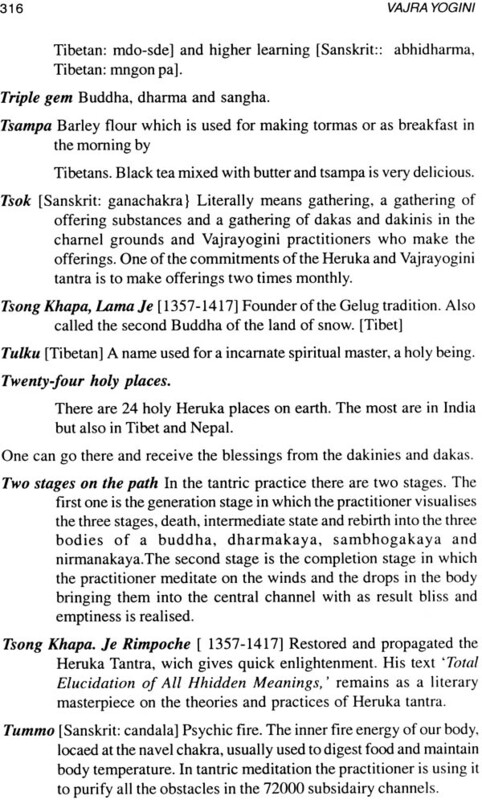 Tantric practices went from India to Tibet reaching the Tibetan mahasiddhas. There too, traditionally, it passed on only by means of oral transmission to those students who were suitable. This is one of the most important reason why the tantras are called secret. Now that they have been introduced into western countries it is no longer really secret. Books on tantra can be bought everywhere nowadays. That has confused many people. Not only the Vajrayana tantras are available but also ‘neo-tantras’ such as those developed by Bhagwan Shree Rajneesh (Osho). These tantras are mixtures of all kinds of western psychology and bio-energetic theories and focussed on body relaxation rather than on inner transformation. The traditional Hindu tantras differ greatly from the Buddhist tantras and are often manuals for black magic*. Getting a good picture of the vajrayana tantric methods and, in this particular case, the Vajrayogini tantra, one must study before one can start with tantric practice. When one is not grounded in the Three Principal Aspects of the Path * of [Tibetan] mahayana Buddhism one will not get far in the practice of tantra. The focal point in tantra is, as Lama Gangchen says, the continuation of one’s subtle mind through countless lifetimes with the goal that one will realise the pure illusory body and the enlightened mind. The tantric techniques consist of chakras*, nadis*, drops*, winds* and elements*. These have to be studied and meditated on. How to do that is explained step by step hereafter. Going through the preliminary steps from the first three yogas up to the sixth yoga, and practising the generation* stage yoga from the sixth up to the tenth yoga and the completion stage yoga in the eleventh yoga, one can realise the full state of one’s human potential. If one comes to the completion stage yoga, a lot is done not only in effort and enthousiastic perserverance, but also in time. To practise the tantras is not simple and definitely not a practice for the confused or those with strong conceptual minds. The tantric practice goes beyond conceptual thought, and the visualisations which have to be done do look very different from the phenomena of our every day world. Even though in the visualised Vajrayogini mandala there are lakes, trees, elephants, stupas and other more or less known phenomena, the main visualisations are very different from our daily experience. In the Buddhist traditon to which I belong, the Gelugpa, the teachers protect the tantras very skilfully by giving tantric initiations at only the right time and place. They are very careful in giving out their oral commentaries to the tantras. Kyabje Kundeling Rimpoche for example, invites his students from Europe, Taiwan and Singapore to visit his monastery in India to receive oral commentary on the various tantras. Karma* needs to be ripened and merit* created before one can understand the tantras mentally. Practising. however, asks more than mental understanding alone. For that one needs. in the first place, a qualified teacher. 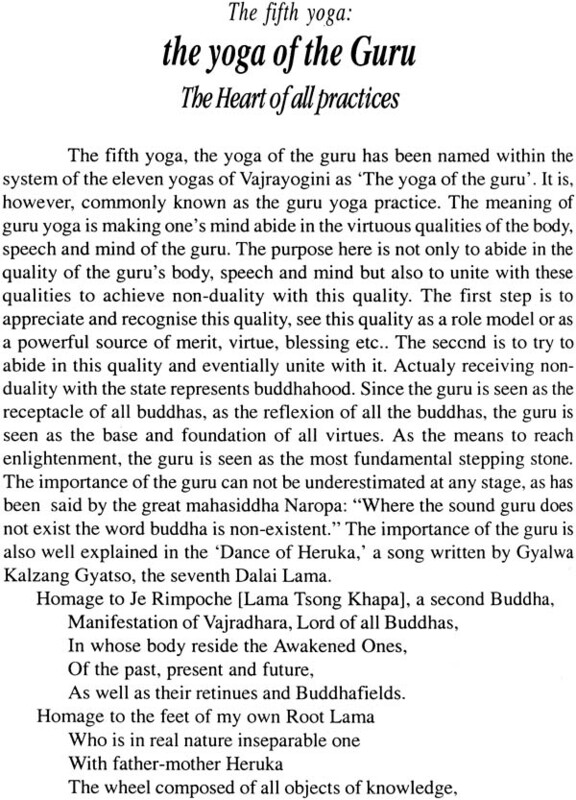 According to Kundeling Rimpoche in his essay on Understanding the Spiritual Heritage of the Guru-Disciple Tradition : “In the mahayana vajrayana, a guru is considered to be the embodiment of all buddhas. He or she is considered the foundation of all qualities and happiness.” Not only is one’s guru the embodiment of all buddhas, but all human beings have to be seen and respected as fully realized beings without mistakes, faults etc., and that applies equally to one’s environment. This is not a simple task. To day there are still practitioners who sincerely and succesfully practice the tantras under guidance of qualified tantric masters. 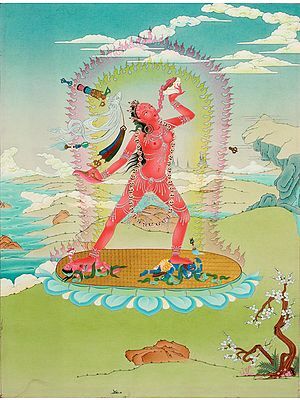 Therefore it is worth while to present the Vajrayogini tantra method for purifying one’s life-to-life energies, one’s mental continuum, so that one can discover one’s innate pure body and one’s innate pure mind [in tantric terms: the union of the illusory body and the pure mind, meaning clear light]. Our true identity is a very subtle body composed of the very subtle winds, which is inseperable from one’s very subtle mind. It is immortal and transmigrates from life to life until we realise our full potential. That very moment, one experiences oneself no longer as a separate identity but within a state what is called dharmadatu, that means the sphere of truth where everything is one. It is the union of ultimate illusory body, ultimate meaning clear light, a realized body and a realized mind. If one realizes this potential, of which the seed is in every human being, one can really liberate all beings from their state of suffering and guide them to the perfect enlightened state. One can decide to do that on two ways. The first way is that the enlightened being can manifest different aspects to satisfy the desire of beings. The second way is that one’s pure/ultimate illusory body in the form of wisdom being falls into one’s old body form. One can contine to show the other beings the gross body form and at the same time performing beneficial actions. This body is like a rainbow. Geshe Kelsang Gyatso in his text on mahamudra says in Clear Light of Bliss : “Just as the colours of a rainbouw are unmixed and the rainbow possesses no quality of obstructing contact, the same is true of the illusory body. Thus it is said that the illusory body is like a rainbow.” The illusory body is transparent in nature and performs enlightened activities [See last chapter: How to attain outer; inner and secret Dakiniland]. This state of realising one’s full potential can be accomplished under three circumstances, that is during one’s life on earth, during the time in bardo and during the time in Akanistha [Heruka’s pure realm]. It is only under these circumstances that one can realise the state of enlightenment because it is thought that only humans on earth and bodhisattvas* abiding in the Akanistha realm have the white* and red drops* [the esssence of the father and the essence of the mother] which are necessery for attaining one’s goal [See p. 271: How to attain outer inner and secret Dakiniland]. Lama Yeshe says in his Introduction to Tantra  p.29: The function of tantra is to transform all pleasures into the transcendental experience of deep penetrative awareness. Instead of advocating separation from worldly pleasures the way many other spiritual traditions do, tantra emphasises that it is much more effective for human beings to enjoy themselves and channel the energy of their enjoyments into a quick and powerful path to fulfilment and enlightenment. This is the most skilful way of using our precious human potential. I think that one of the reasons why people feel a strong attraction to tantra is because it teaches, as Lama Yeshe says, that one can reach a deeper level of consiousness by enjoying and transforming pleasurable daily activities. But to practice tantra one has to take many vows and (try to) keep them. Those who sincerely wish to attain liberation do not need a teacher who is clairvoyant and can see how many insects live underneath the ground or how many atoms are assembled there, nor do they need a teacher who can see far into the distance, for even vultures can do that. What they need is a teacher who knows what is to be accomplished, and what are the methods of abandoning and accomplishing them. If those who desire liberation follow a teacher who reveals such correct spiritual paths, they will achieve their aim. Without such a teacher, liberation is impossible! Looking at the above advice it is understandable that the Vajrayana path can not be followed without a master. In the commentary of the eleven yogas of Vajrayogini, specifically on p.91 in the yoga of sleep, it will explained why a practitioner needs a spiritual guide in the form of a teacher. There are qualified* masters who reveal the tantric path. The pat Vajrayogini is pleasant and joyful. The female buddha Vajrayogini is be in her appearance, her mandala* is very simple to visualise, her blessings to improve the mind are very powerful and everyone who is interested can do so. To follow this practice some requirements are needed, such as a sincere student, the desire to be guided by a qualified teacher, to receive initiations in Vajrayogini’s sindhura mandala, to meditate on the three inner, outer and secret body mandalas of Vajrayogini*, to engage oneself in a close retreat for many months or even years, and specifically to keep one’s samaya [vows] what for many people will be difficult. When during an initiation one gives one’s sacred word of honour to keep one’s vows and pledges purely, a subtle energy is generated within one’s mind and inner nervous system. This energy automatically releases one from negativity. This is what samaya means. It is the exact opposite of the half-hearted promise people usually make. Promises that are so easily broken. Where one’s samaya is involved, one should not rationalise, even for the sake of one’s life. Buddha Vajradhara revealed the first tantric practice [Guhyasamaja] to king Indrabhuti in the South of India near the stupa called Danakuta. The king, who was busily involved in the administration of his country, had no time to sit down and meditate. Therefore the enlightened one gave him the tantric path for changing his daily activities into bliss and emptiness as it is explained in the last yoga of the eleven yogas of Vajrayogini. Why is the dissertation called Vajrayogini, the Only True Love Story? When I entered the vajrayana path I felt immediately in ‘love’ with Buddha Vajrayogini. I was initiated for the first time in her three dimensional mandala in 1985 in Bodhgaya, India.The initiation master was H.H. Sakya Trinzin Rimpoche, head of the Sakya school in Tibet. The ceremony took place in a very small temple. Sakya Trinzin Rimpoche, followed the ancient style of giving empowerment. No more than twenty people could attend at once. From him J received the ‘Three OM Mantra*’ for the first time and it has been with me since. I discovered my still hidden inner world, a dimension that appears as an unfragmented whole. The goal of the dissertation is to contribute to sentient beings * self-realisation, presented in a philosphic study through revealing the ancient Vajrayogini tantra. Vajrayogini is the supreme dakini of Naropa’s tradition, a text which is called Quick Path to Great Bliss. It is a well outlined path to realise the state of spontaneously born exalted wisdom. This wisdom is also called great bliss realising emptiness. This thesis is about a reliable, accessible, self-realisation method of an omnipresent system to realise the union of clear light and emptiness, a pure illusory body [Sanskrit maya, Tibetan gyulue, pure astral body] that contributes to create a Middle Way Science. This can be realised through using the tantric techniques of channel wheels [Sanskrit. chakras, Tibetan khorlo], channels [Sanskrit. nadies. Tibetan tsa, energy channels], central channel [Sanskrit. avadhuti], drops [Sanskrit. bindhumtilaka, Tibetan thig-le, purified subtle essence of male and female sexual hormones, which form the basis of our subtle body], winds [Tibetan lung], elements [Sanskrit. bhuta, Tibetan jung-wa, the outer and inner four elements of earth, water, fire and air which are the material bases of all phenomena]. When the pure illusory body is realised it will be utilized to fulfil the desire of beings and will perform activities to guide beings on their path to the awakened state, which directly prevents one from experiencing ordinary death. It follows that immortality can indeed be achieved. The dissertation will emphasise the philosophic and practical side of the practice. Not only a philosophic frame work will be given but also a practical approach on how to develop that state of spontaneously born exalted wisdom or great bliss. My second part of research was in Germany in an ancient castle called Dharmakaya Klosterschule or Monastic College in Schwante, near Berlin. The Vajrayogini practitioners at the college are very young both in age and in experience with the Vajrayogini tantra. Except for Lama Tenzin Sangmo Dechen Rimpoche, spiritual head of the Klosterschule.The students nave been practising the eleven yogas of Vajrayogini for a few years. Even though they are more open than their counterparts in India, it is difficult to say how valid their experiences are. I typed out one hour interviews which I had with eight Vajrayogini practitioners at Dharmakaya. After standard questions about age, gender etc. 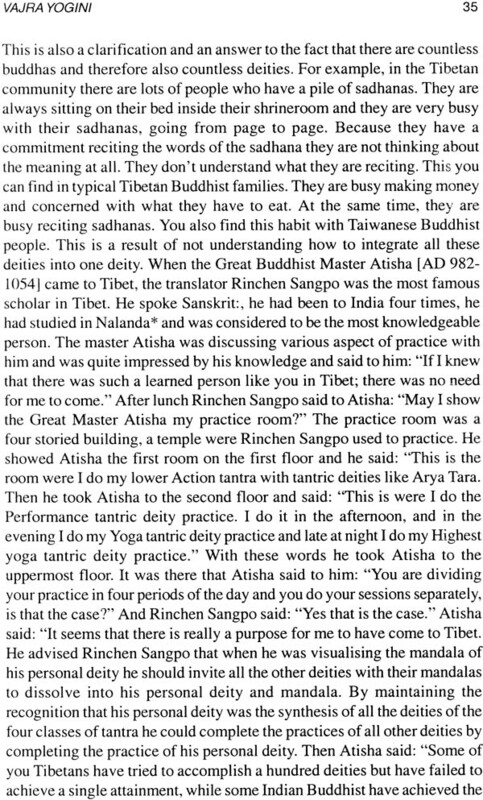 I asked them how long they practised Vajrayogini tantra, who was their initiation master and whether they had received an oral commentary on it. More important was whether they had done a retreat on this deity. They all live in the Klosterschule, nuns and monks as well as lay practitioners. Everyone was very serious about the practice and followed the instructions of their teacher very well. They told me what was difficult and what was easy to practise. They were all very happy with the practice of Vajrayogini and wished to realise their full human potential. An elderly lady (in her seventies) was the only one who said: “I am not happy with this deity. 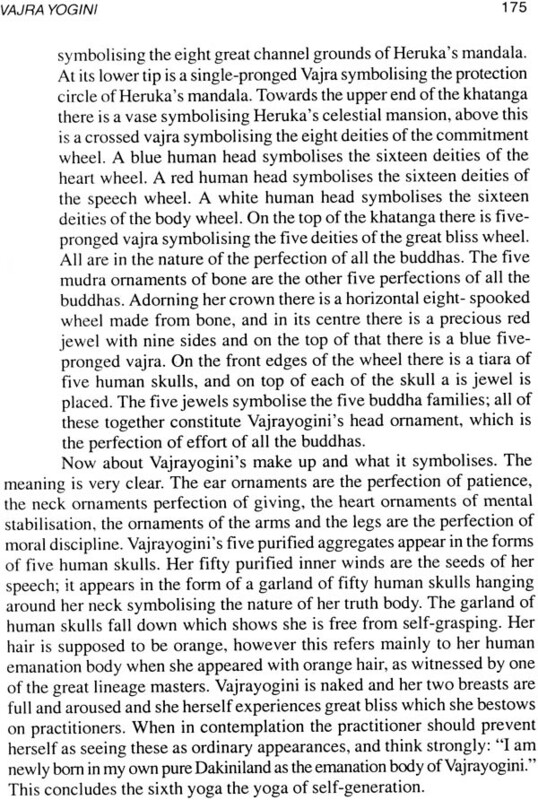 She looks so angry [Vajrayogini looks slightly wrathful] and the skullcup from which she drinks is filled with blood.” The mala with death- heads reminded her of the German SS. She prefers the practice of Tara ‘the Saviour.’ This was closer to her idea of how a buddha should manifest itself Most of the practitioners felt more positive than before about their life, their body and the people they met in their daily life. 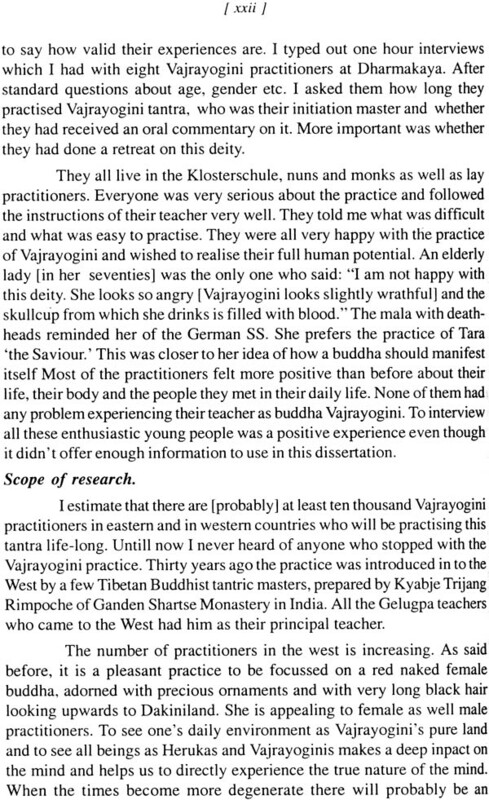 None of them had any problem experiencing their teacher as buddha Vajrayogini. To interview all these enthusiastic young people was a positive experience even though it didn’t offer enough information to use in this dissertation. I estimate that there are [probably] at least ten thousand Vajrayogini practitioners in eastern and in western countries who will be practising this tantra life-long. Untill now I never heard of anyone who stopped with the Vajrayogini practice. Thirty years ago the practice was introduced in to the West by a few Tibetan Buddhist tantric masters, prepared by Kyabje Trija Rimpoche of Ganden Shartse Monastery in India. All the Gelugpa teachs who came to the West had him as their principal teacher. The number of practitioners in the west is increasing. As said before, it is a pleasant practice to be focussed on a red naked fen buddha, adorned with precious ornaments and with very long black looking upwards to Dakiniland. She is appealing to female as well male practitioners. To see one’s daily environment as Vajrayogini’s pure and to see all beings as Herukas and Vajrayoginis makes a deep inpact on the mind and helps us to directly experience the true nature of the mind. When the times become more degenerate there will probably be an increasing number of people who will be searching for this spiritual path and, as it is predicted, Vajrayogini’s blessings will then become much stronger. 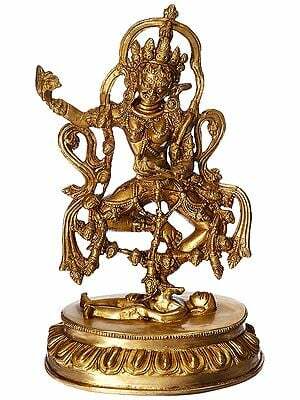 Vajrayogini can not be seen as either female or male. 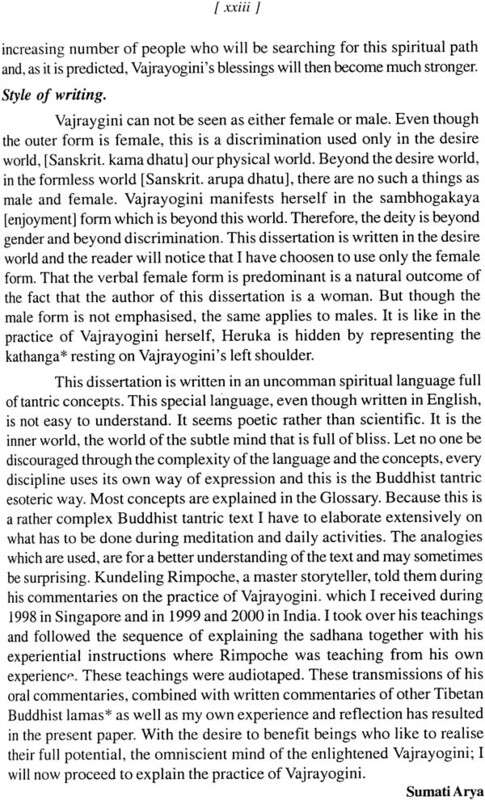 Even though the outer form is female, this is a discrimination used only in the desire world, [Sanskrit. kama dhatu] our physical world. Beyond the desire world, in the formless world [Sanskrit. arupa dhatu], there are no such a things as male and female. Vajrayogini manifests herself in the sambhogakaya [enjoyment] form which is beyond this world. Therefore, the deity is beyond gender and beyond discrimination. This dissertation is written in the desire world and the reader will notice that I have choosen to use only the female form. That the verbal female form is predominant is a natural outcome of the fact that the author of this dissertation is a woman. But though the male form is not emphasised, the same applies to males. 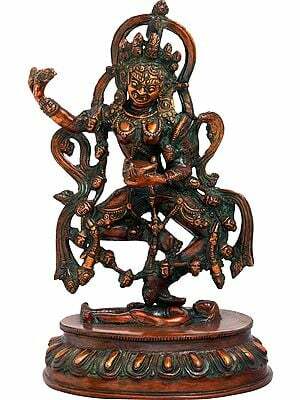 It is like in the practice of Vajrayogini herself, Heruka is hidden by representing the kathanga* resting on Vajrayogini’s left shoulder. 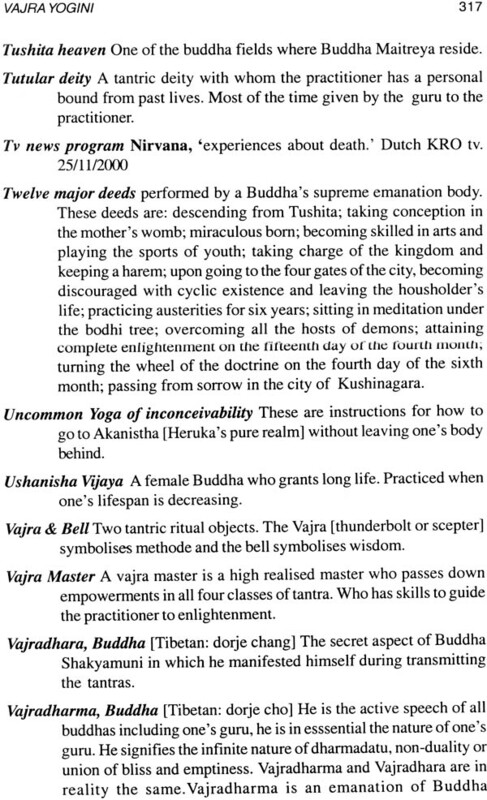 This dissertation is written in an uncormnan spiritual language full of tantric concepts. This special language, even though written in English, is not easy to understand. It seems poetic rather than scientific. It is the inner world, the world of the subtle mind that is full of bliss. Let no one be discouraged through the complexity of the language and the concepts, every discipline uses its own way of expression and this is the Buddhist tantric esoteric way. Most concepts are explained in the Glossary. Because this is a rather complex Buddhist tantric text I have to elaborate extensively on hat has to be done during meditation and daily activities. The analogies which are used, are for a better understanding of the text and may sometimes e surprising. Kundeling Rimpoche, a master storyteller, told them during EIS commentaries on the practice of Vajrayogini. which I received during 1998 in Singapore and in 1999 and 2000 in India. I took over his teachings and followed the sequence of explaining the sadhana together with his experiential instructions where Rimpoche was teaching from his own experience. These teachings were audiotaped. These transmissions of his oral commentaries, combined with written commentaries of other Tibetan Buddhist lamas* as well as my own experience and reflection has resulted in the present paper. With the desire to benefit beings who like to realise their full potential, the omniscient mind of the enlightened Vajrayogini; I will now proceed to explain the practice of Vajrayogini. Back of the Book: The author of the dissertation “Vajra Yogini” Sumati Arya (Maria Toren) was ordained as Buddhist nun in the Tibetan Buddhist Gelukpa order of Lama Tsong Khapa’s tradition from 1988-2000. During that time she lived with her spiritual master Professor Dr. Kundeling Tagtsha Jetung Thongshan Hotuktu the 13th and his monks in Bangalore and Mysore, India in the Kundeling Monastery. There she served the monastic community while studying and practicing the tantras, specifically the Vajrayogini tantra, and other important Buddhist texts. Sumati Arya received her Ph.D in Eastern philosophy at the intercultural open university of the Netherlands, studying under the guidance of Prof. Dr. J. R. Hakemulder. Presently she resides in Friesland, the Netherlands where she teaches His Holiness Lama Gangchen’s Tantric self-healing (Ngalso), healing body and mind. Sumati Arya is also an astrologist who gives astrological consults. I am confident that her knowledge can be of benefit to many people and 1 offer my sincere good wishes for her future in teaching the NgalSo tantric Self- Healing methods and Vajrayogini practice.